Simple, comfortable small apartment house "this property", 3 storeys. 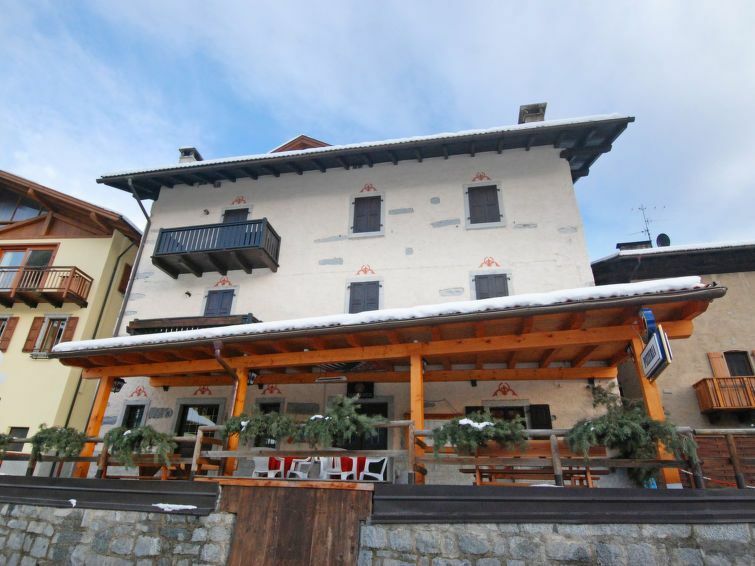 In the hamlet Massimeno 1.5 km from the centre of Pinzolo, in a central, quiet, sunny position, 2 km from the skiing area, located by a road, south facing position. In the house: central heating system. In Winter: please take snow chains. Roofed, parking (extra) at 300 m public parking on the road. Grocery 20 m, restaurant 10 m, bicycle rental 1.5 km, bus stop 1.1 km, indoor swimming pool 1.5 km, thermal baths "Terme di Comano" 32 km. Golf course 2.5 km, tennis 1.5 km, chair lift 2 km, children's ski school 1.5 km, sled run 1 km, cross country ski track 2 km, ice field 1.5 km, children's playground 100 m. Nearby attractions: Madonna di Campiglio 13 km. Please note: the photograph shows a typical example. There are more similar properties for rent in this same residence. 2-room apartment 30 m2. Comfortable furnishings: living room with TV. Exit to the balcony. 1 room with 1 double bed. Kitchenette (4 hot plates, oven). Shower/bidet/WC. Heating. Facilities: washing machine. Internet (WiFi, free). Maximum 2 pets/ dogs allowed.